This "professional" research is what links John Norwood of Virginia to Tyringham Norwood of England. More evidence is needed to solidify the link. 1 Bannerman, W. Bruce, ed., Miscellanea Genealogica Et Heraldica: Fourth Series, London: Mitchell, Huges, and Clarke (1910), Vol. III, Page 176. 2 Doliante, Sharon J., Maryland and Virginia Colonials: Genealogies of Some Colonial Families, Baltimore, Maryland: Genealogical Publishing Company (1991), 361. 3 Newman, Harry Wright, To Maryland from Overseas: A Complete Digest of the Jacobite Loyalists Sold into White Slavery in Maryland and . . ., Annapolis: Harry Wright Newman (1982), 130, Ancestry.com (Online Database). 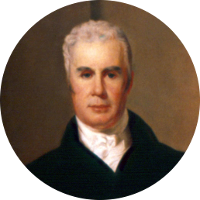 4 Warfield, Joshua Dorsey, The Founders of Anne Arundel and Howard Counties, Maryland: A Genealogical and Biographical Review . . ., Baltimore, Maryland: Kohn and Pollock (1905), 161, Google Books (Digital Library).